One new feature of the iPhone 4S that may have snuck by your radar is support for GLONASS, reports TNW. GLONASS navigation definitions for latitude and longitude are 4.46 - 7.38 m. In comparison, GPS navigation definitions are 2.00 - 8.76 m. This indicates that GPS is slightly more accurate; however, on northern latitudes, GLONASS' accuracy is better than GPS due to the orbital position of the satellites. 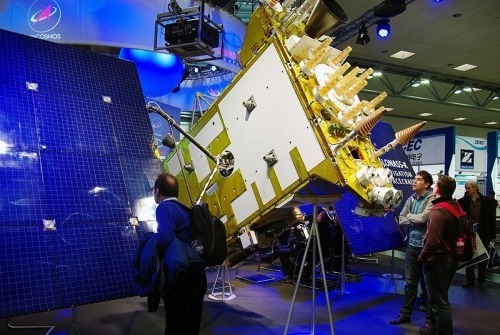 Using both GLONASS and GPS satellites together provides improved coverage and gives a very fast fix time due to over 50 satellites being available. 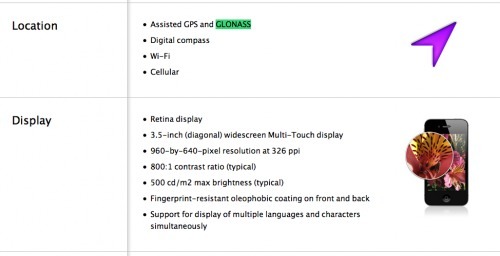 GLONASS/GPS navigation definitions are 2.37 - 4.65 m.